The skilled technicians at AAMCO South Tampa, FL can provide you with all the services and repairs you need to care for your performance vehicle. 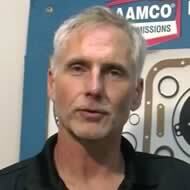 AAMCO South Tampa, FL specializes in all phases of high performance modifications and repairs. AAMCO has the proper equipment and the experience to perform high performance modifications, tune-ups, chassis modifications, engine and transmission high performance builds for your muscle car or high performance truck. AAMCO South Tampa, FL's automotive technicians can perform anything from a tune-up to a complete overhaul on your performance engine or transmission. Our specialists will build to the highest standards and to your satisfaction.